Samsung has launched Galaxy J2 Pro. It has a 5-inch Super AMOLED display with qHD resolution (540 x 960 pixels) Powered by 1.4 GHz Quad-core processor with 1.5 GB RAM and 16GB of internal Storage. 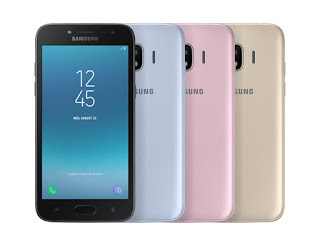 Samsung Galaxy J2 Pro comes in Gold, Black and Blue it is available in the East Asian country for VND3,290,000 or $144.